Enjoy 10% off your next purchase today! Will ship by the end of April. Sold out! Check back soon! Taking a trip in your RV can create lifetime memories. Don't let traditional gas powered generators or power hookups slow you down. Renogy 160 Watt 12 Volt Solar RV Kit silently recharges your batteries so you can enjoy the great outdoors without the extra noise. Solar panels also allow you to run limited low watt electrical equipment without a power hookup. Renogy RV Solar Kits are carefully arranged to meet your RV needs. This kit includes a 160W 12V Monocrystalline Flexible Solar Panel, an Adventurer 30A PWM Charge Controller, a 30 ft 10AWG MC4 Adapter Kit, a 16 ft 10AWG Tray Cable, a BT-1 Bluetooth Module and one Renogy Cable Entry Housing. The Adventurer 30A PWM Charge Controller is specifically designed for RV applications as it allows for aesthetically clean flush mounting on walls and is negative-grounded for battery compatibility. It also features an LCD screen for displaying system operation information and allows for full control of parameter settings. The controller comes equipped with a fully comprehensive self-diagnostic system and electronic protection functions to prevent damage from installation mistakes or system faults. 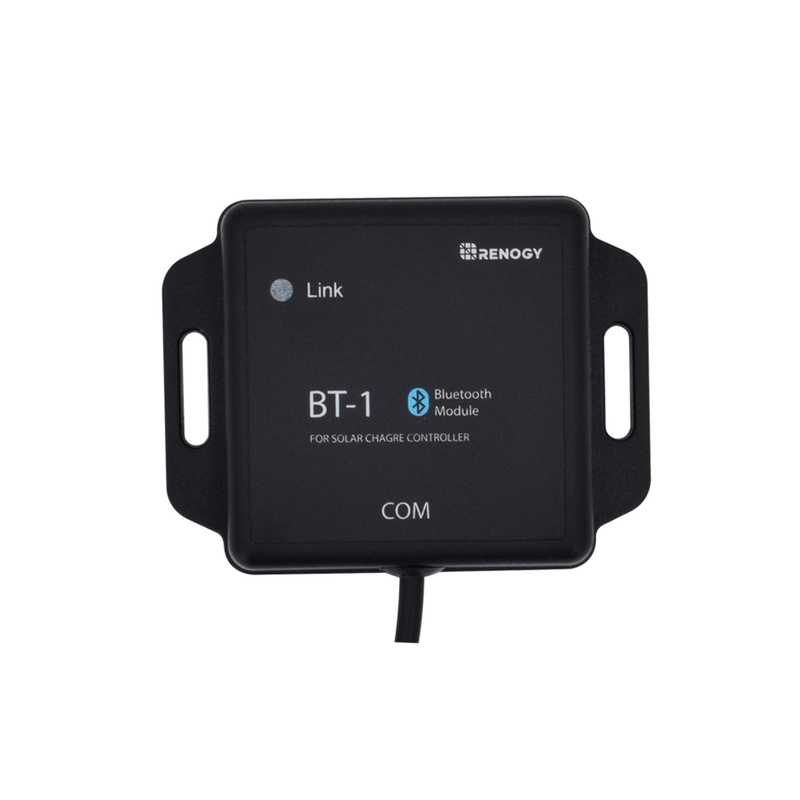 Newly added BT-1 Bluetooth Module enables user to pair the charge controller with our smartphone app Renogy BT. The APP allows you to view system performance in real time and make parameter changes right from your smartphone! If you have any questions regarding this product, please email onlinestoreca@renogy.com.